happy sunday! the weather here in toronto is slowly starting to cool off again after the oddly hot november week we just experienced. while everyone was freaking out over how gorgeous it was.. i just want snow & to be able to put my chunky knit sweaters back on & cook wintery comfort foods (sorry, not sorry). 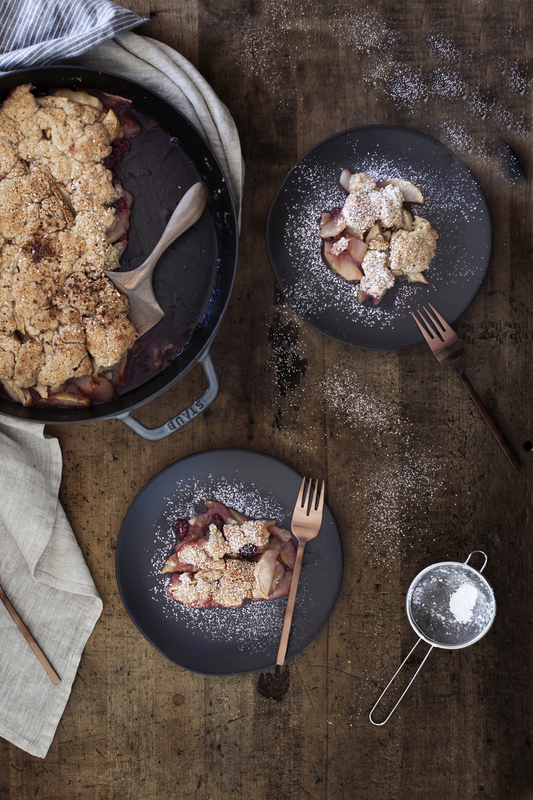 CUE: delicious apple cranberry cobbler. 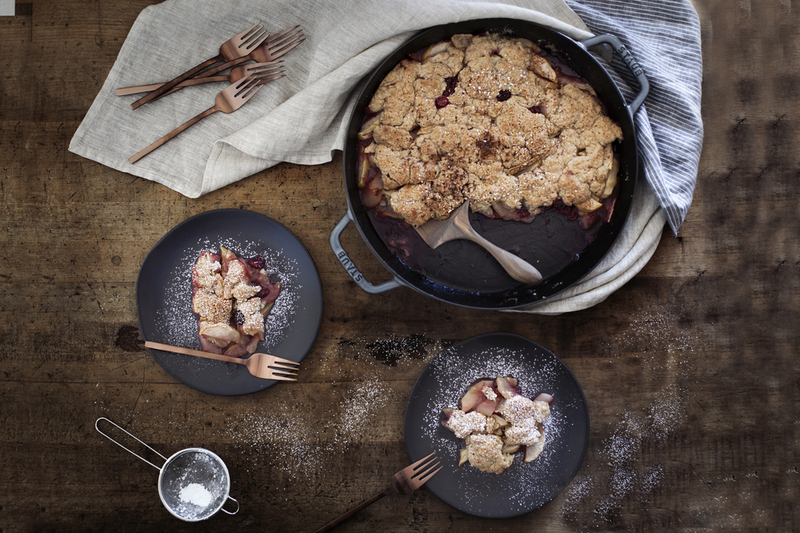 what is seriously a better way to end off a sunday dinner then with this rustic cobbler. 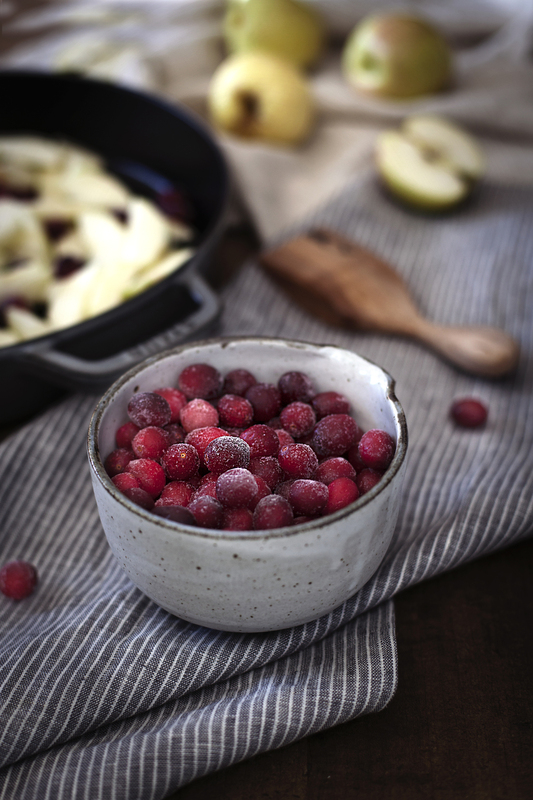 i absolutely love the combination of apples & cranberries.. the tartness of the berries compliments the sweetness of the apples perfectly! anyways, i have a busy day of relaxing to get back to.. sipping on tea, wrapped in my favourite wool blanket & finishing the latest book i just received titled food whore by jessica tom! it's a fun book about what life in new york is like for an aspiring food writer! if you instantly thought of the devil wears parada meets delicious food, then you got it. 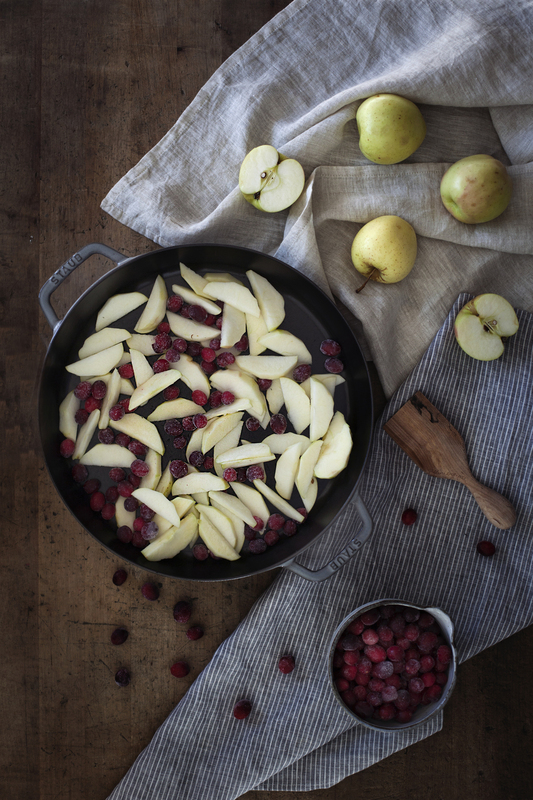 in a mixing bowl mix apples, cranberries, cornstarch, vanilla, sugar & nutmeg. place mixture into baking dish and bake in oven for 10 minutes, while you prepare your topping. in a separate mixing bowl sift flour, cinnamon, nutmeg, sugar, baking powder and salt. add milk & vanilla until just combined. remove filling from oven & evenly top with the mixture. 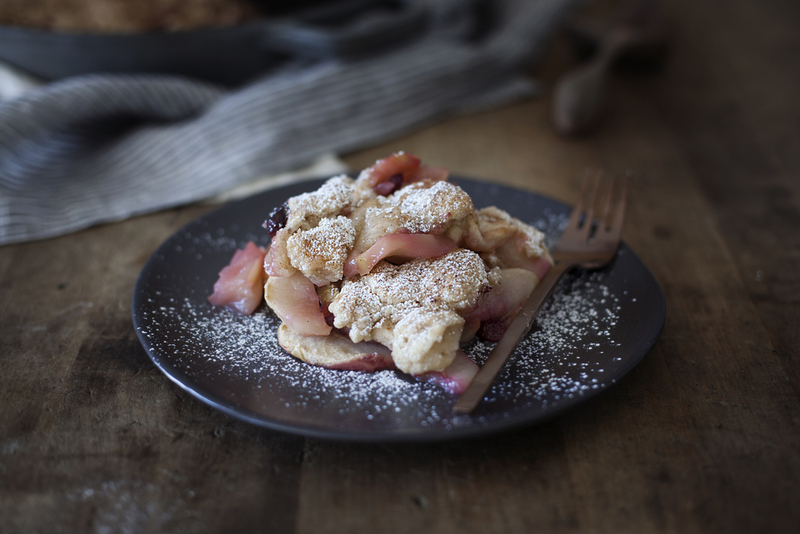 finish off by sprinkling raw sugar & dusting with cinnamon. bake for 20-25 minutes until topping begins to slightly brown. remove from oven, dust with powdered sugar & serve.